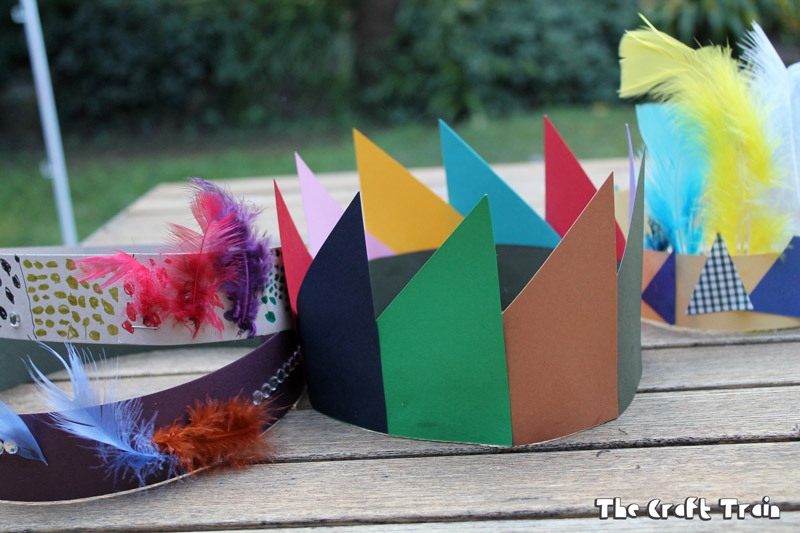 These paper scrap crowns are a bright and colourful craft which is doable for kids of all ages. It’s also a good way to use up all those paper off cuts so you waste less paper. We all hate wastage, right? This may make me sound like a hoarder but when I have a pile of paper scraps left over from crafting I can’t bring myself to throw them away. I usually buy the good quality stuff so it feels like a big waste, especially if a large portion of the sheet is left over. Instead of throwing the scraps in the recycling bin I pack them into a paper bag to be used in future projects. 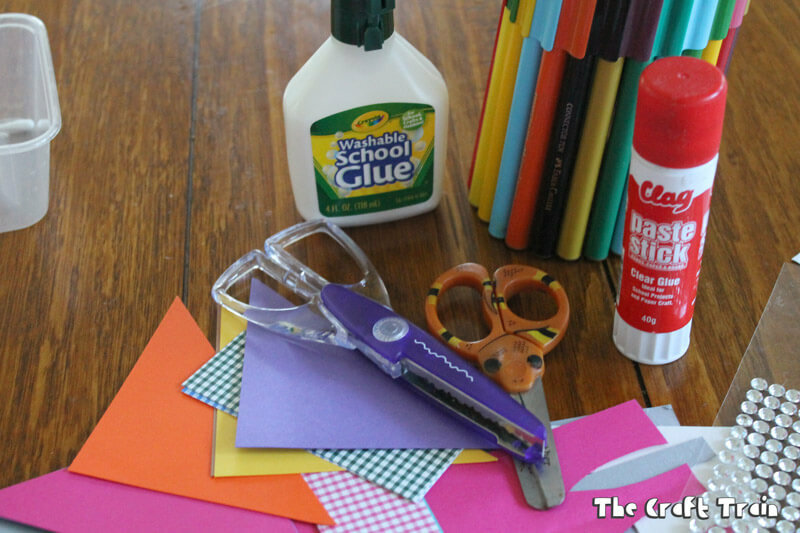 I mock up ideas for the blog with these scraps, and the girls like to use them for making little cards and things too. One day when our “paper scrap bag” was getting full to over flowing I decided we needed to do something about it. 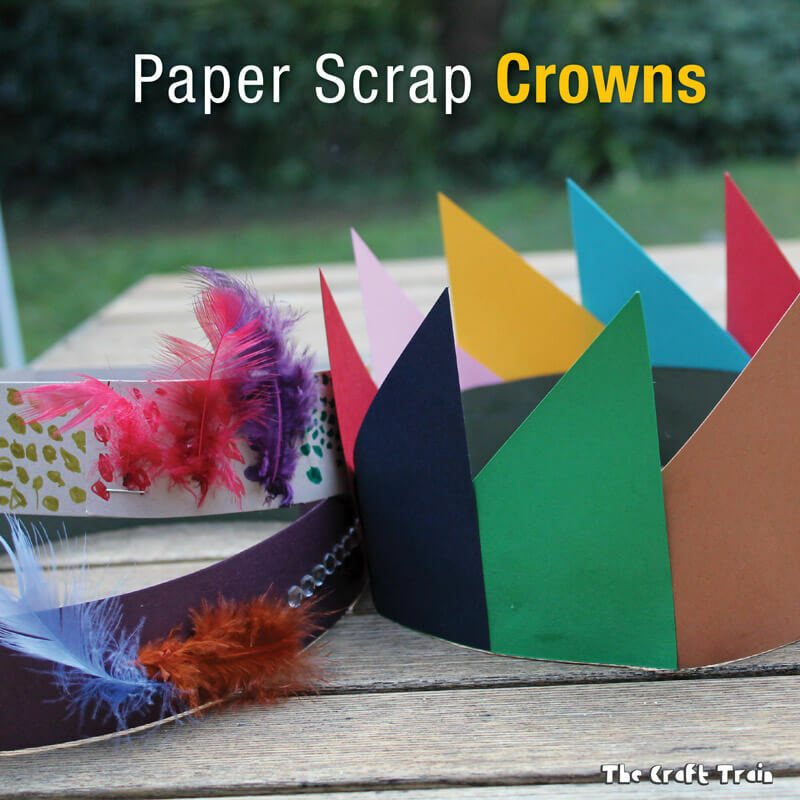 The girls wanted to make paper crowns (one of their favourite crafts), and I thought the scraps would be perfect for that. 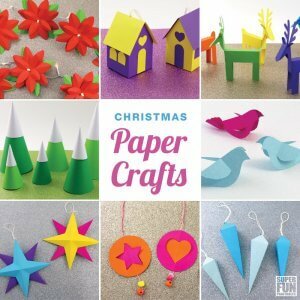 • Paper scraps and off cuts in different colours, patterns, shapes and sizes. 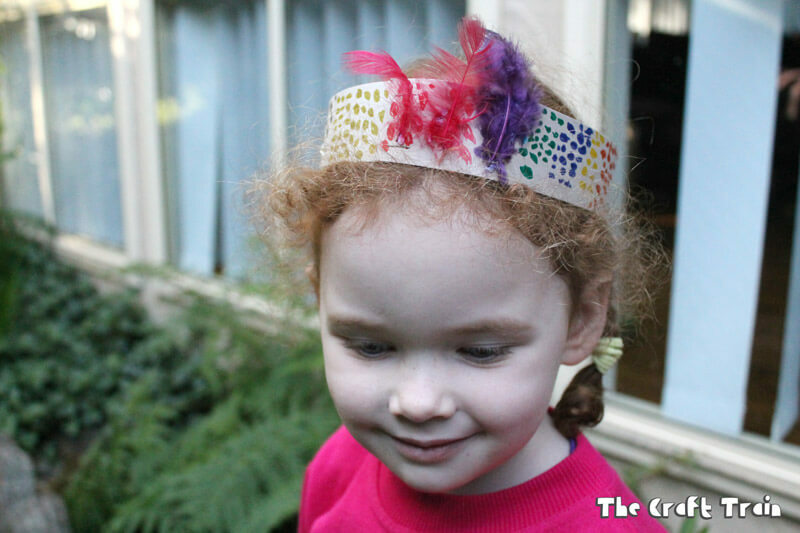 • Items to decorate – we used coloured markers, feathers and gem stickers but don’t limit yourself to those. Staple two A4 length strips of paper together so you have a long piece of paper that will go all the way around a child’s head. Don’t staple it into a crown just yet, you need to decorate it first. 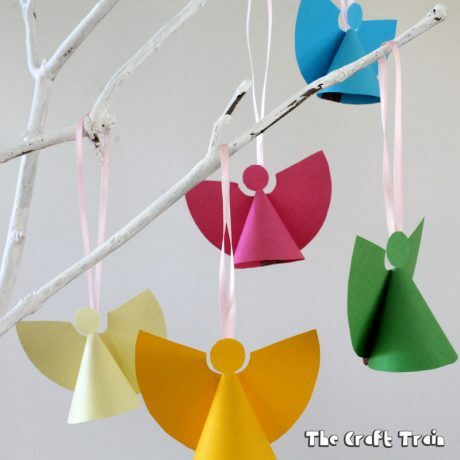 Decorate the paper strips in any way you choose. 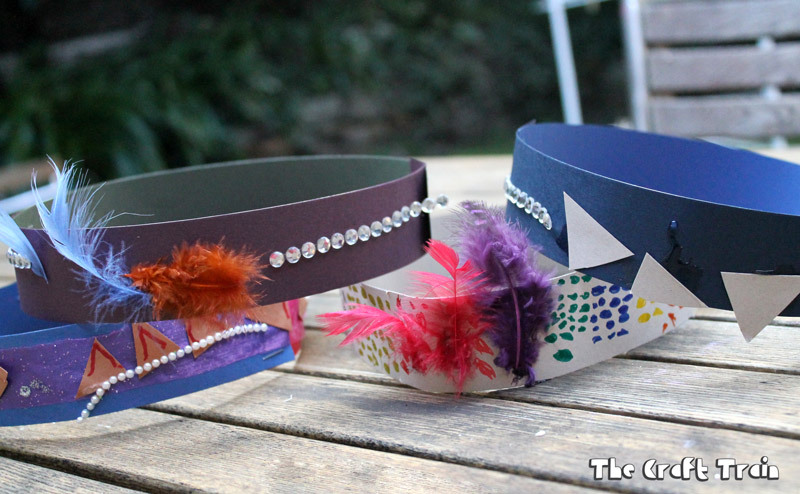 Glue things on, decorate with markers, add plastic gems etc. Measure to the correct size of your child’s head and staple together. 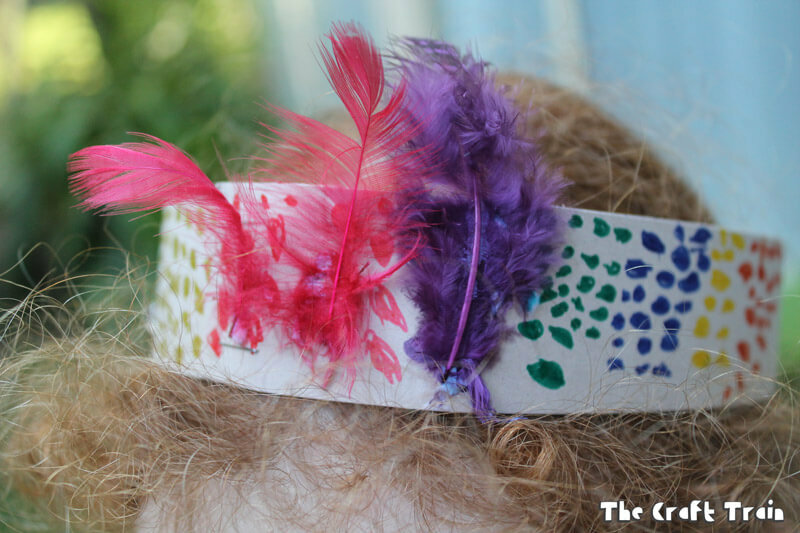 One of my daughters meticulously drew patterns the full length of her strip of paper, then embellished with coloured feathers. Here is a triangle pattern by my younger daughter. 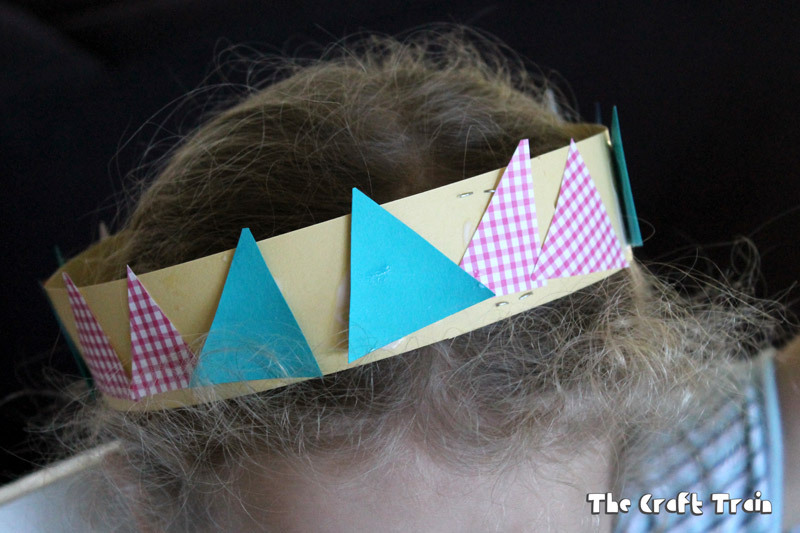 The coloured crown in the centre, below, is made by layering triangles along the length of the strip. 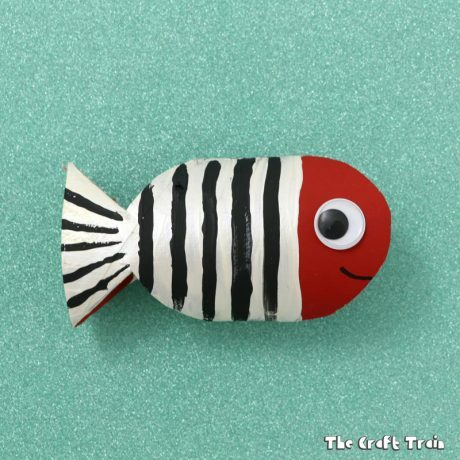 Sometimes the simplest crafts are the ones that give you the most joy. 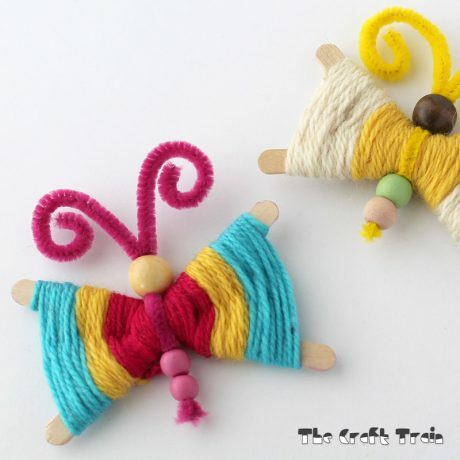 The girls adored making these creations, and it was also a good way to inspire pretend and imaginative play. 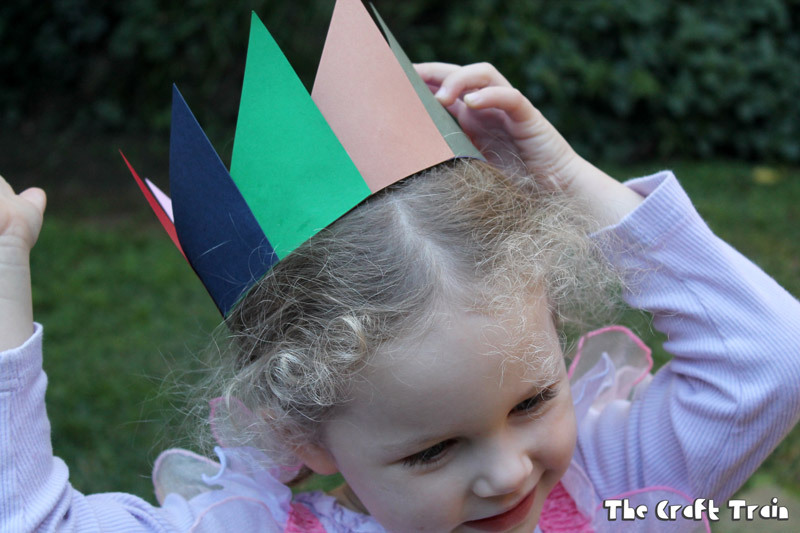 Home made crowns make a fun addition to the dress up box! 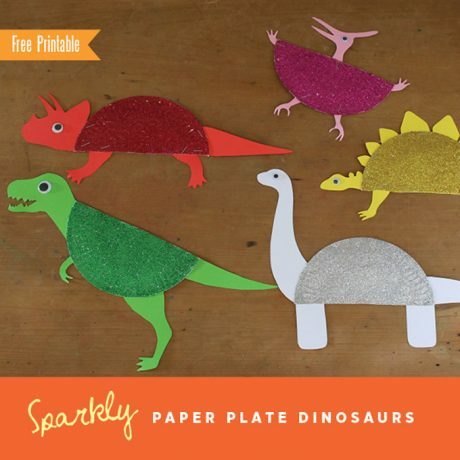 Our paper crafts board on Pinterest is one of my favourites. 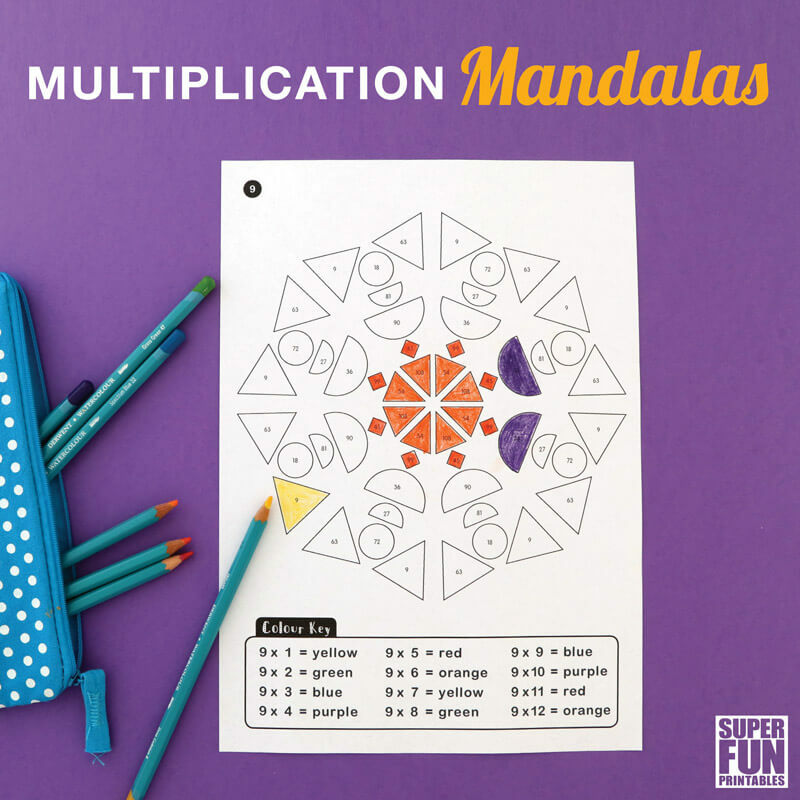 So many awesome ideas to inspire! 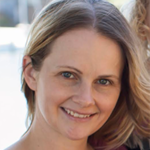 My name is Jillian Tohber Leslie and I am the founder of Catch My Party (http://catchmyparty.com/). 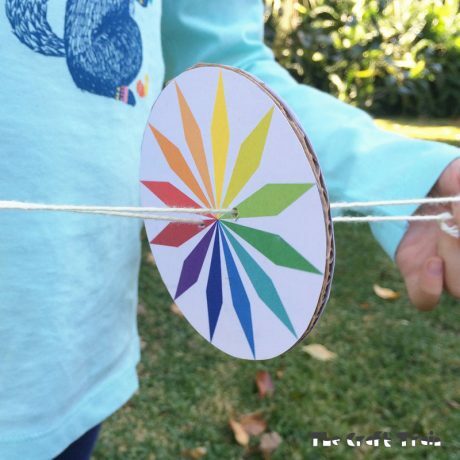 I’ve recently begun blogging about parties and party planning for Spoonful (http://www.spoonful.com), the Disney family website. I’m putting together a post for Spoonful on Prince parties and I was wondering if I can include a photo from this post of yours in my post. I will of course link back to your blog. Spoonful is a super popular site, so it’s a great way to gain increased exposure. Let me know what you think. If you’re okay with it, I’ll email you once the post is up on Spoonful so you can check it out and share it with your friends. Sure 🙂 You are welcome to use a pic & a link. Thanks for asking.